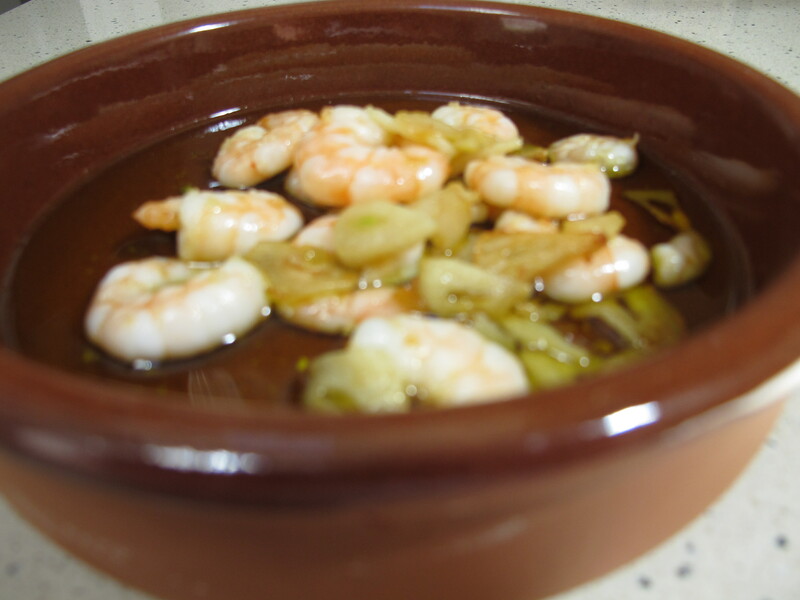 Gambas al Ajillo, or for those who have never eaten this delight on a holiday in Spain or the Canaries, Garlic Prawns. This is one of our standby lunches. A packet of excellent prawns in the freezer, lashings of green olive oil and sliced garlic, and one of those tricky dried whole red chillis that the Spanish add to so much of their food. Crusty bread, a cold beer, a seat in the sunshine. Life is simple. This entry was posted in A love of food and tagged Andalucia, food, Sandra Danby, Spain, spanish finca, Spanish food on May 10, 2013 by sandradan1.